In Uttar Pradesh,Indias largest State electorally, a total of 96 contestants are in fray for the 08 Lok Sabha seats going for polls in the first phase of the General Election- 2019. All 80 Lok Sabha seat of the State are scheduled for polls in seven phases. 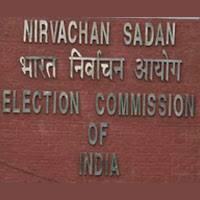 The 08 seats going for polls in the first phase are Saharanpur, Kairana, Muzaffarnagar, Bijnor, Meerut, Baghpat, Ghaziabad and Gautam Buddha Nagar which will see polling on 11th April, 2019. A total 122 candidates had finally contested for these seats in previous Genral Election – 2014. In this General Election the number of independent candidates has also come down significantly on these 08 seats. While 47 independent candidates had contested in previous General Election -2014, this year only 20 Independent candidates are in the fray for above mentioned 08 seats.